← Mussel Festival returning in St. Lunaire-Griquet this weekend! It all started 25 years ago with a family gathering of close to 200 members of Augustus and Susanna Way convened in 1989 at the Flower’s Cove Lion’s Club to celebrate their growing family tree. 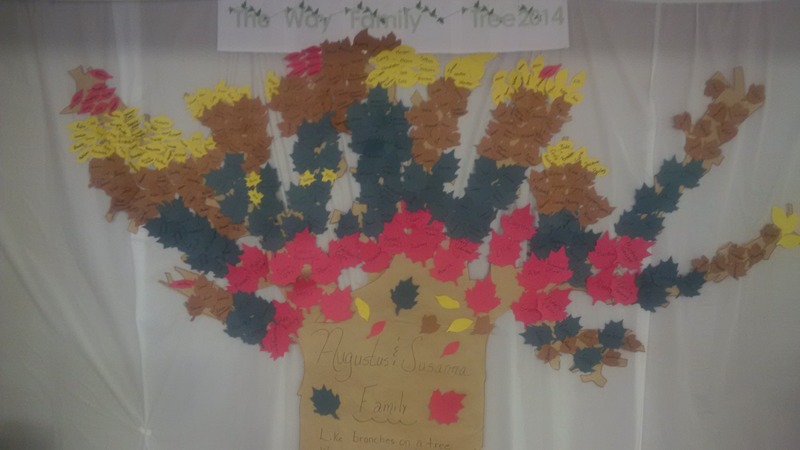 Today, the tree branches are getting longer as more great-great grandchildren and even great-great-great grandchildren have been added to our family tree. In 1989, I was one of the younger members, just shy of 4 years old. On July 24-27 2014, our Way Family reconvened for an incredible weekend together to share stories, meet family members we had not seen in years and also connect with new additions, as well, create new dialogue and memories for many decades to come. The Official Opening included a meet and greet, speeches from the organizing committee, Mayor of Flower’s Cove and yours truly, the Member of the House of Assembly for the District and was hosted by our very own Loomis Way. It was followed by a flag raising ceremony, the Flower’s Island song, lots of food and music by Nellie Wilson. The Lion’s Club look amazing with decor, banners, sheets of family photos, a memory wall, news clippings and photo albums taking us through the years. The nights were late, but no one seemed to tire of anyone’s company, especially with Nellie Wilson, Dwayne Snow and Jig’s Dinner playing consecutive nights. It truly was a celebration of family and fun with large meals, music and lots of dancing. Many opted to participate in the recreational cod fishery over the weekend, plus there were family bbqs, games, shed gatherings, dart tournaments and a family bonfire on the point. One couldn’t ask for better weather, or better timing given the Provincial Government removed the fire ban at 6 PM, in time for our lighting at 7 PM. Wonderful luck indeed! I can not thank all our family members who dedicated their time to plan, organize and ensure the perfect family reunion was had 25 years later. We are truly lucky to have you as part of the family. I’m impressed by all the musical talent in the family, just wish I had inherited some of it. In the meantime, people will still have to put up with my bad car singing and love for all things rural and traditional Newfoundland & Labrador. If you haven’t had a family reunion yet, why not start planning? Family is the cornerstone of our lives and society. Looking forward to the next planned family gathering! Posted on August 15, 2014, in Community Economic Development, History, Them Days..Today and tagged Family, family reunion, family tree, Flowers Cove, Great Northern Peninsula, Newfoundland, reunion, society, way. Bookmark the permalink. Leave a comment.